The Good Governance Program is offered through a collaboration of the Public Entity Saba, the Dutch Ministry of Home Affairs and Kingdom Relations and the Nationaal Register. Kralendijk- The Bottom, Saba – On Tuesday, March 21st 2017, the Good Governance Program kick-off took place on Saba at the Sunny Valley Youth Center in the Bottom. Throughout the past year the Public Entity Saba, in close collaboration with the Dutch Ministry of Home Affairs and Kingdom Relations, has been working on its goal of boosting Good Governance in Government owned companies and/or key-pillar foundations. This has resulted in the development of a tailor-made Good Governance Program, which consists of different modules offered throughout the course of 2017. Because statutory directors and (supervisory) board members uphold vital positions on the island, positions that are influential and key for further development and progress, it is important to keep expanding one’s personal capacities. 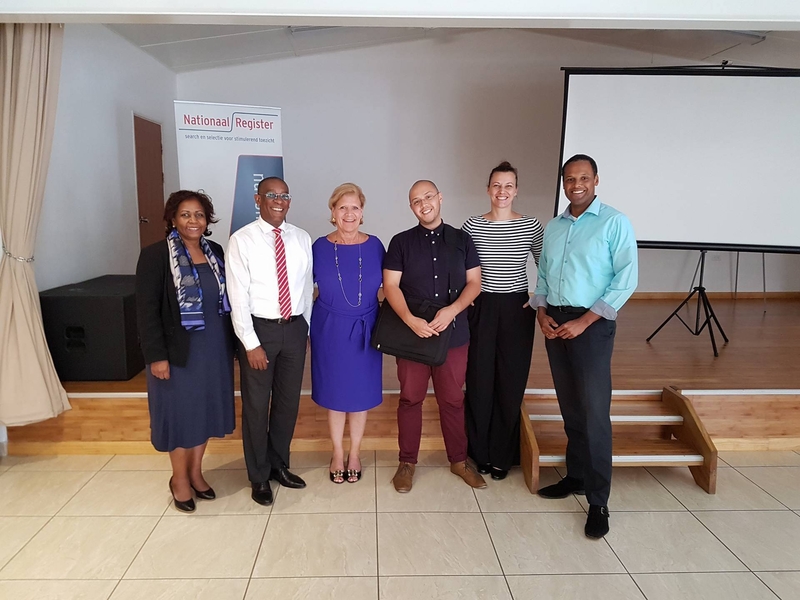 During the kick-off, the organization called Nationaal Register, a company specialised in supervisory board positions and education, introduced the topic of Good Governance. Highly qualified lecturers from both from the islands in the region and from Europe gave the kick-off. Names such as Mr. Geomaly Martes, Ms. Connie Tanis and Ms. Carla Aalse, lectured during this kick-off. This first day was an orientation to the program, which gave more information about the complete program and input was received from everyone present. This feedback will help to fine-tune and further tailor the content of all of the different modules of the Good Governance Program going forward.